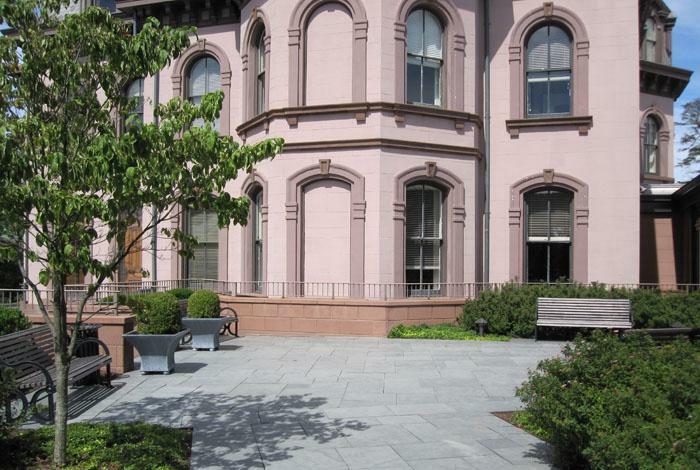 LOCATED STEPS AWAY FROM NEW HAVEN'S VIBRANT DOWNTOWN, YALE UNIVERSITY'S GREENBERG CONFERENCE CENTER IS THE PERFECT PLACE FOR YOUR NEXT EVENT. The Maurice R. Greenberg Conference Center at Yale University is a conference facility available for use by international leadership programs and Yale-affiliated events. The building is designed to accommodate a wide range of activities, from conferences and corporate retreats to receptions and dinners. The structure, designed by the firm of Robert A. M. Stern, former Dean of the Yale School of Architecture, is LEED Gold certified and conforms to benchmarks set by the U.S. Green Building Council.